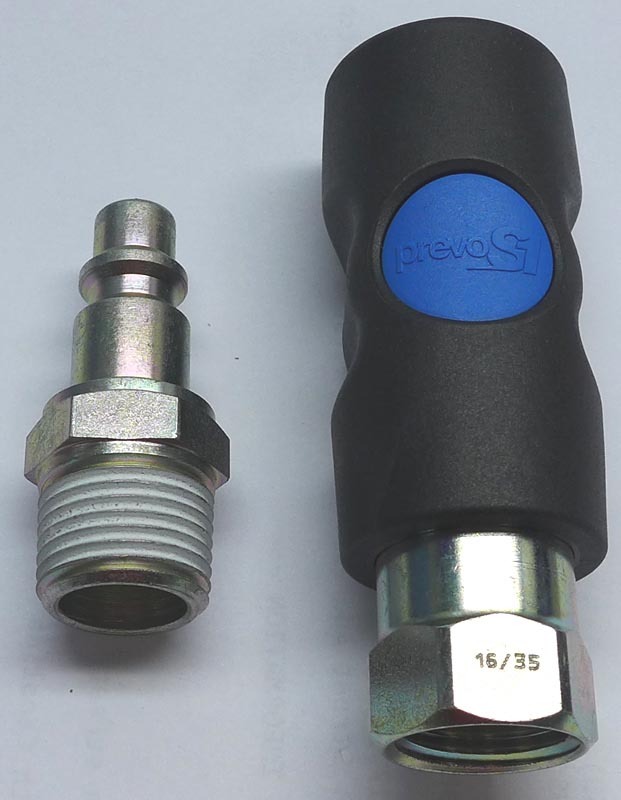 Prevost Kit - 3/8" Female NPT High Flow Safety Disconnect & 3/8" Male Air Plug (for use with 3/4" Drive Impact Tools) - Facom and other manufacturers of 3/4" drive Impact tools typically spec a 3/8" NPT male plug for use in the tool and recommend a coupler capable of 30+ CFM air flow on the end of your supply hose. This hose should have an inside diameter of at least 3/8" with 3/8" NPT end fittings. This kit flows 80+ SCFM of air at 100psi. 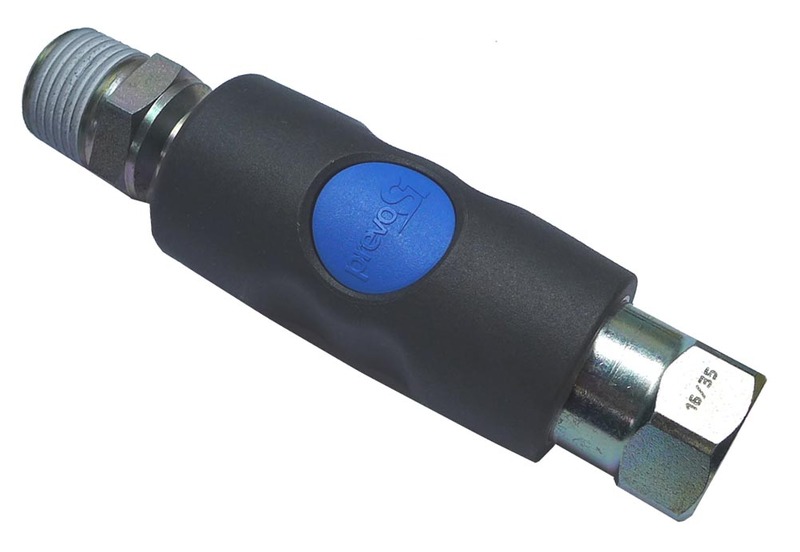 For use with 3/8" Industrial Interchange air plugs (IRP08 series).